Edward Kinney: A 2017 Elite Lender! Please take a moment to join us in congratulating Edward Kinney of Settlers Bank as one of WBD’s 2017 ELITE LENDERS! 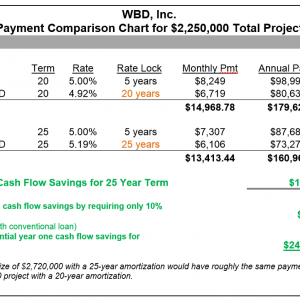 Elite Lenders have done at least ten 504 projects with WBD and are true allies of small business! Click here for more information about WBD’s 2017 Elite Lenders! Dennis Haefer: A 2017 Elite Lender! 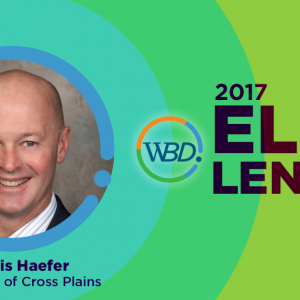 Did you know that Dennis Haefer of State Bank of Cross Plains is one of WBD’s 2017 ELITE LENDERS? Elite Lenders have done at least ten 504 projects with WBD and are true allies of small business! Join us in congratulating Dennis! Click here for more information about WBD’s 2017 Elite Lenders!